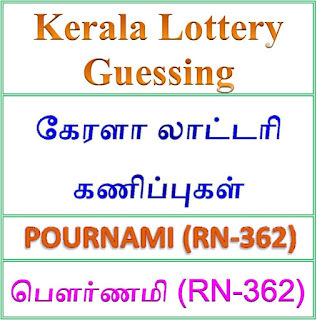 Kerala lottery guessing / predictions for POURNAMI RN-362 dated 21.10.2018. Winning number predictions of weekly lottery POURNAMI RN-362 on 21 October 2018. Best possible winning numbers published below. These guessing number are just our and our visitors predictions.People who are interested in Kerala lotteries use may ways to forecast the winning numbers with many methods of speculations. 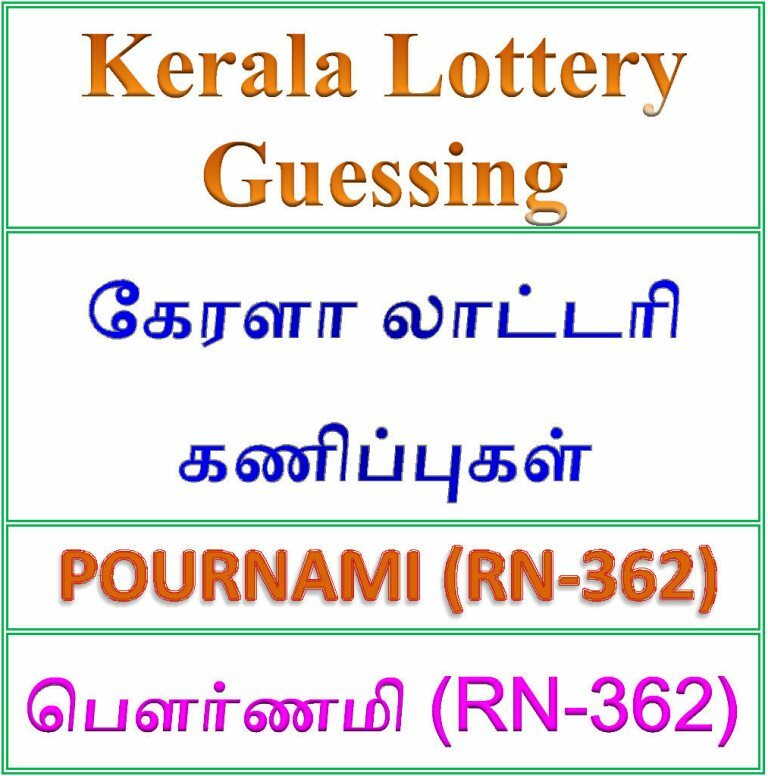 These are not any leaked Kerala lottery result or confirmed Kerala lottery result.Predictions of POURNAMI RN-362 lottery is only a speculative game for fun and increase the curiosity on the draw of POURNAMI RN-362 Lottery held on 21.10.2018. 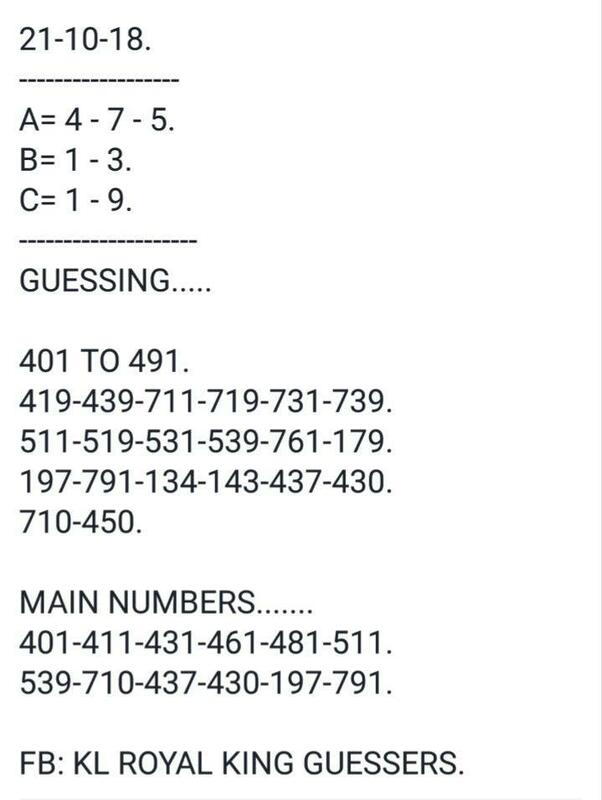 597 579 957 567 765..467.715..675.357.749.759. 10/20/2018 16:53:57 Madhan Dhruamuri 617.731.468. 10/20/2018 17:03:31 JEEVA kovai . 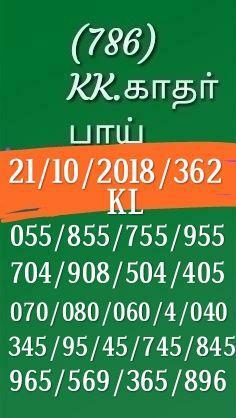 sowri palayam 256.294.653.253.656.261.654.655.357.353.324. 10/20/2018 18:49:14 U.emman Senadu 143.083.053. 10/21/2018 8:14:00 kupearan trichy 062.123.563.527.785. 10/21/2018 10:55:45 Farook Tirur 216.054.056.454. 10/21/2018 11:45:06 Senthilsenthil 736.637 A.6.7.B.3.C.6.7. 10/21/2018 13:24:57 Jayakumar Kasaragod 262..292. 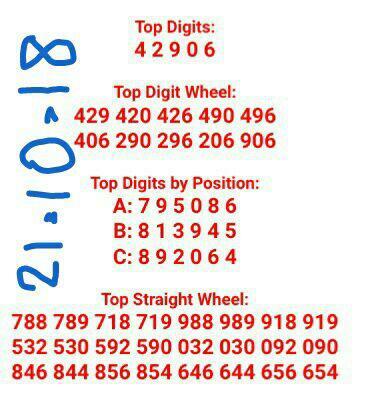 10/21/2018 14:33:28 Anandharaj kovai 739.......331....333.